Alaskan’s digital heating, ventilation and air conditioning control systems and solutions can ensure that empty rooms are not heated or cooled unnecessarily. 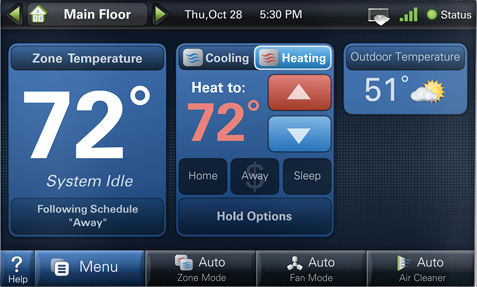 Our HVAC control solutions delivers lowered energy consumption for the home while delivering optimum comfort. The controls that we install range from simple wall-mounted thermostats to sophisticated cell phone and computer based remote access applications that allow a homeowner to adjust the home temperature and switch to energy-saving mode to reduce heating and cooling costs.